Six AA batteries? Are you serious? Sometimes, we can't believe the complaints younger people have about portable gaming. Their issues cover the proverbial gamut, from 3DS being too big to a random iPhone game costing $9.99. We, of course, were on the front lines of eight and 16-bit gaming, and some of us were around before anyone knew what a "bit" was. Bottom line, those whiny whippersnappers don't know how good they have it. In fact, we're willing to bet they wouldn't last a month in the mid 80s. Pokemon? What the heck's a Pokemon? On that note, and to educate our young readers, we created a list of portable gaming hardships, the stuff we had to deal with growing up. If you sympathize, leave a comment below. Our allowances barely covered the Energizers. That's right. There were no such things as internal batteries or charging cradles. 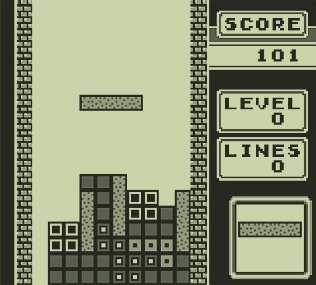 The original Game Boy needed four AAs to show its pea soup graphics, while Sega's Game Gear demanded six, and you were lucky to get six hours out of those babies. Suffice to say, we invested in a pair of rechargeable batteries and made sure to have an AC adapter on hand, which leads us to our next point. For the record, that's a grown man hand. 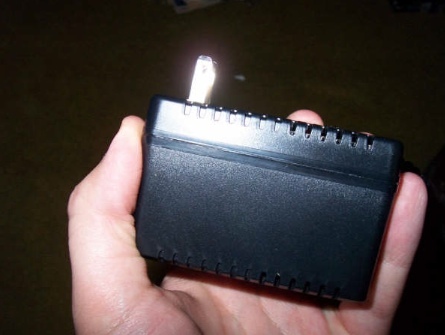 Believe it or not, you can probably kill someone with the Turbo Express and Game Gear AC adapters. No, not by strangling them with the cord, though that's possible. We mean caving in their skull with the adapter, a fairly large and heavy power brick that eventually grew too warm for our liking. But it sure played a mean game of Teenage Mutant Ninja Turtles. Gamers complain about the PSP not having a second analog stick when they should be happy it has one at all. 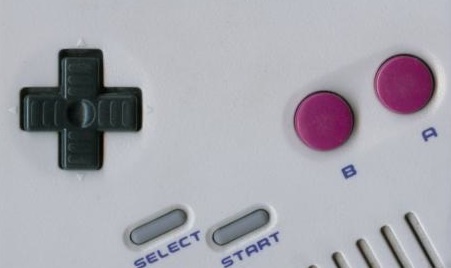 Try playing DOOM or Duke Nukem on a Game Boy Advance using just the d-pad. Good luck with that. 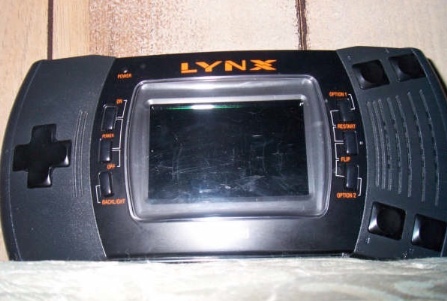 Human babies are born smaller than the Atari Lynx. We're sorry. We don't mean big. We mean gargantuan. Unless you wore clown pants, fitting a Game Boy, Game Gear or Atari's massive Lynx into your pocket was a near impossibility. They took up so much room, you needed a laptop size bag to carry it. 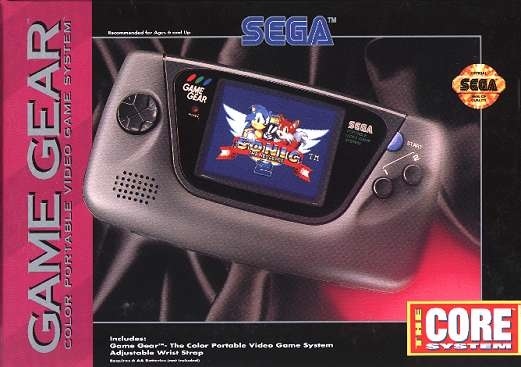 Sega actually sold a bag that big for the Game Gear. Ridiculous. This screen's a lie. The Game Boy suffered from crazy flickering. That's right. We didn't have thousands of colors on screen at the same time. The Game Boy had two, and you could barely make out shapes. Game Gear had color, but come on. It could only display 32 at one time. We hope player 2 showered today. Next time you complain about PlayStation Network, imagine a time when something like that doesn't exist. We couldn't download anything to the Atari Lynx, or challenge someone to an online game via Game Boy. 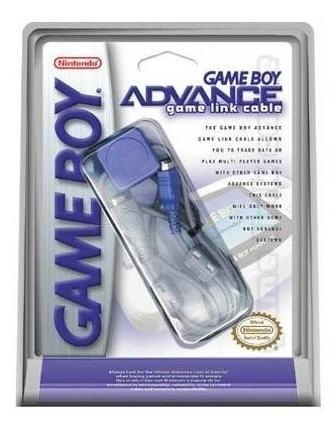 You had to attach a link cable and invade someone's personal space. Great, salami breath. We know it's Ryu because the screen says "Ryu." OK, it wasn't that bad. What? Super Street Fighter IV 3D Edition doesn't look as good as the console versions? 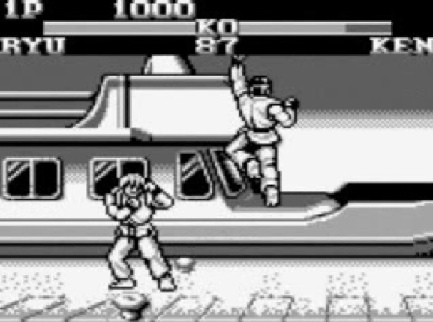 OK, have fun playing Street Fighter II on the original Game Boy, which appears to move five frames a second. By the way, we stole your 3DS. You can have it back three months from now. Did we miss anything? Are you as old as we are? Sound off.